And what are the most pressing issues that philanthropist should be focusing on now do you think? I do a lot of things on education; this is because I think education is so critical for the future. So, education, environment, these are two things that I focus a lot. There is no one thing is the most important; the most important is everybody do something. To what extent do you think your identity as an entrepreneur has been shaped and forged by your. . . your first love, your first job, which is of course as an English teacher? People don't like me talk a lot, cuz I speak most uh to speak in China and all the forums that because of I'm a teacher, the only thing I can do is share. 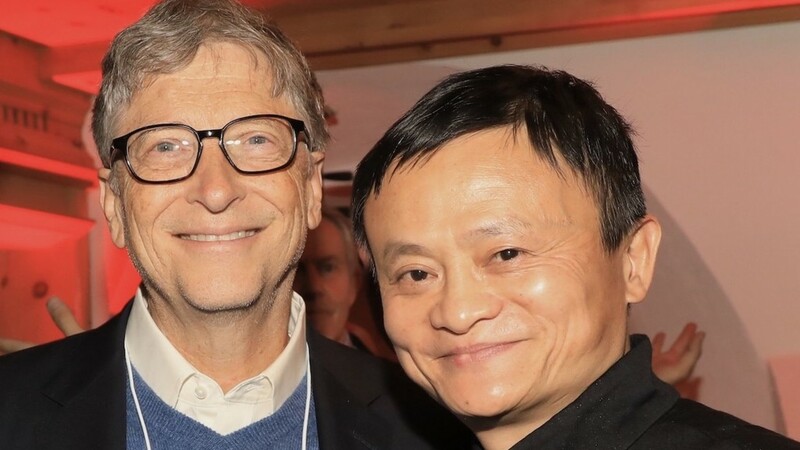 I learned so much from Alibaba, I learned so much from the Alibaba journey in the past 19 years. I think it's my responsibility to share whether people like it or don't like it, agree or disagree, that's not. . . it's okay. The thing is you have to share because society gave us, gave me so much resources, so much experience, you should not waste it. Share with the others. Maybe it's a professional disease I've got in teaching, you know? Do you miss teaching? Would you like to be back in the classroom? I miss it very much. I think I came to business field, it's by. . . I just came in, started to do it. I think someday and very soon I'll go back to teach. . . go back to education. This is something I have more confidence. I think I can do much better than being Alibaba CEO. Well, that would be quite something. Oh yeah, I love that. I think this is why I prepared Jack Ma Foundation, rural area teachers, headmasters, kindergartens. . . all these things that I've been preparing for 10 years. So this is something that I want to devote of most of my time when I retire. Well, when could that be? That transition? Very soon. You will know that. So this would be you stepping away from your executive chairman role to focus solely on the Jack Ma Foundation with a focus on education? Would you look at the Bill Gates model, for example, of giving away most of your wealth? I think there are a lot of things I can learn from Bill Gates and he's been with. . . you know, many years ago, people say, Jack, well, you know Bill Gates? I said, well, I can never be as rich as Bill Gates, but one thing I can do better than him: I can retire earlier than him, right? I can do something that is for education field, I can do unique, different, and something in my Jack Ma's mind. So I will learn from Bill Gates, Warren Buffett, and a lot of great philanthropist in the world, but I want to do something using my own way.